Shop our beautiful collections of products for the table. From dinner and salad plates to mugs and serving bowls, Consider the Cook collects some of the finest items from Burleigh, Bridgewater and others to enhance your home. Asiatic Pheasant 8 inch salad/dessert plate. This lovely Polka Dot 8 1/2 inch Plate is hand decorated in Stoke on Trent in a favorite pattern, Polka Dot. Breakfast pancakes on this Polka Dot 8 1/2 inch Plate get eaten up very fast; don't forget the maple syrup to go with them! 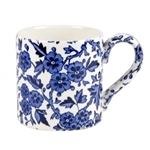 A great size for breakfast and lunchtime, this is an everyday essential! 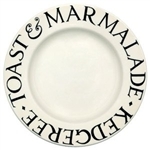 This plate was one of the first pieces in the Black Toast collection. It gave the design its name so it's pretty special, or pretty and special. 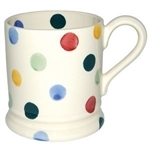 This Polka Dot 1/2 Pint Mug is our best-selling mug and is in Emma’s most famous pattern, Polka Dot. Polka Dot French Bowl 5.5in. diameter, 12oz. These pretty Emma Bridgewater Polka Dot French Bowls are pretty and colourful. A great way to serve pudding and show off to your guests. 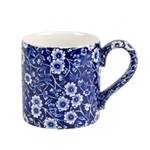 Polka Dot is a fabulous pattern to mix and match to bring that country kitchen chic to your table. Good for breakfast cereal, even better filled with Smarties. This Polka Dot French Bowl is a great all rounder in anyone's collection.